I woke up this morning only to be greeted by an email on my phone that told me there are a mere one hundred days until the London Olympics. Now I’m not exactly a sports fan, so god only knows why I receive such emails. I can’t think of anything less fun than sitting watching someone run round and round a track or even worse throw a pole with point on the end as far as they can. 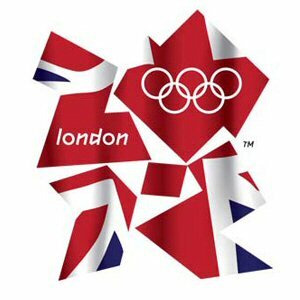 London 2012, only 100 days to go! But don’t get me wrong, I have no complaint about the Olympics being in London … apart from maybe that god awful kit designed by Stella McCartney. I’m not sure a ‘sharp and contemporary’ kit is going to help the medal situation. Especially when Usain Bolt said today he wants to run 100 metres in 9.4 seconds!! Not sure about the crotch patches Stella! Now that is just insane Usain!! But back to the Olympics. Despite not being a sports fan, I think the games could be great. I know there are people that say ‘what a waste of money!’ etc etc. Maybe that’s true, but how many events can create universal interest and excitement? How many events can bring so many people together? 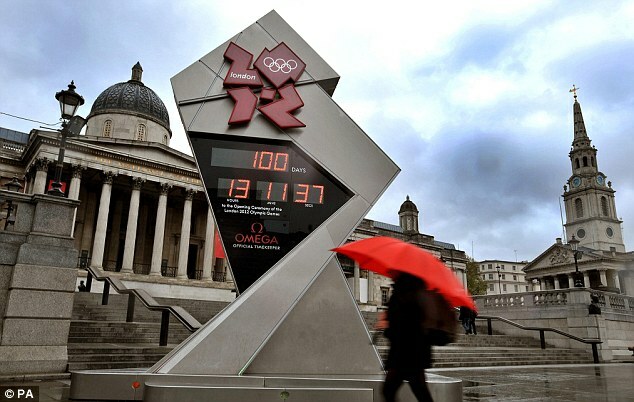 And how many events do you know of that have their own countdown timer in Trafalgar Square for god’s sake? So even as a complete non-sports fan: I have say I might be a tiny bit excited about the Olympics. Not for the sports, I can think of nothing worse, but just the sheer scale of the event. Just the atmosphere it will create. But shhh, don’t tell anyone!